Key difference: A directive is mainly an order, usually issued by an authority. A directive may establish policy, assign responsibilities, define objectives and delegate authority to those working in and with the authoritative figure. Instructions, on the other hand, act as guidelines. They often appear as a series of steps or stages one must complete one after the other. Instructions are mainly associated with instruction or teaching. Directives and instructions are two terms that the often confused. 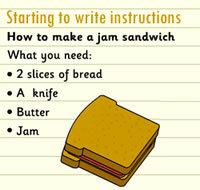 A person may be needed to follow instructions or a directive. So, what exactly is the difference between the two and which should be used when? The main difference between directions or instruction is the fact that a directive is mainly an order, usually issued by an authority. A directive may establish policy, assign responsibilities, define objectives and delegate authority to those working in and with the authoritative figure. 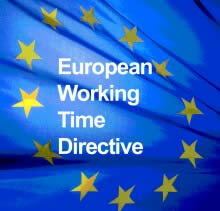 A directive may establish or describe a policy, a program and/or an organization. For example: directive to set up a government entity, directive to set up a local subsidy, directive to set up an overseas office, directive to reduce wastage, directive for recycling, etc. Instructions, on the other hand, act as guidelines. They often appear as a series of steps or stages one must complete one after the other. Instructions are mainly associated with instruction or teaching. Hence, instructions are given to teach somebody something. For example: instructions for cooking, instructions for knitting a scarf, instructions for building a dollhouse, instructions for completing a project, instructions for writing a report, instruction manual for any and all electronic appliances, etc. Another example: The World Health Organization (WHO) may issue a directive for a particular region to be prepared for an outbreak. It will also provide instructions on how the locals can be better prepared for the said outbreak and how to manage the outbreak.